Asurion, the technology support and protection partner of the nation’s leading wireless carriers and retailers, is offering grads advice to help leverage their mobile devices for real-world success. Graduates looking to graduate from “social networking college student” to “networking business professional” need to make sure they stay connected and up their app game. Asurion knows you can’t afford to be without a phone during the job search, or on the clock at a new job. Make sure you have a support and protection plan through your wireless carrier so you can quickly receive a replacement phone should yours be lost, stolen or damaged. 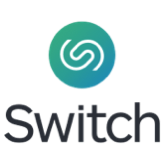 Similar to Tinder, Switch is a swiping app that matches you to jobs by filtering opportunities from your LinkedIn profile, gathering your previous experience and location. This app makes it easy to find a fitness class from personal training to yoga in your area. Mint is a personal finance tool that helps manage money in all your accounts with budget tracking and bill alerts. Good.co provides personality insights to further your career through fun quizzes. This app makes it easy to get rid of your casual clothes and upgrade to a professional style at an affordable price. Download MeetUp, an app that makes it easy to make friends with similar interests. Get more great tips and hints on how to leverage your connected devices – in addition to loss, theft and damage protection for your smartphone – through the Asurion service with your wireless carrier. Ask your retailer or wireless carrier about protection plans for your tech success, or visit Asurion.com.